The 2016 annual Avon President's Club Recognition luncheon for my district was held in May 2017. This is always a fun time to see my fellow Avon reps again. It is a time of fellowship and encouraging others of their top achievements. After another year of hard work I again received awards for my efforts. Although, truthfully, I absolutely love what I do! It doesn't even seem like work to me. Can you say that about your job? Due to my achievement in selling Avon online I was recognized on stage. I received an overwhelming response from other reps (emails, phone calls, Facebook requests, Facebook messages) asking me to help them learn how to sell online. Due to this, I decided to write a blog post with Avon tips for selling online for all of the Shining Stars Division and Western Stars Division representatives in addition to all reps who may be reading this. Hopefully, I can help my fellow reps to increase your earnings with Avon. Read on to find how to get Avon customers online. 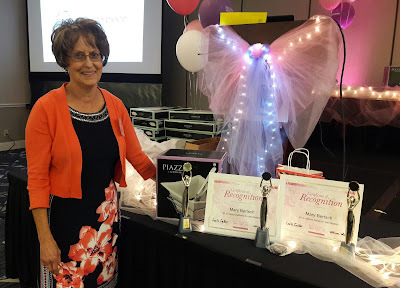 After receiving the award for top Avon online seller for the Shining Stars Division, I was asked to give an impromptu speech with a few tips to the other representatives at the recognition luncheon. Well, I'm not a public speaker! "Oh no," I thought, "What am I going to say?" I'm actually a very shy person. Even though I'm not comfortable speaking, I said I would. I wasn't given much time to think about what tips to give, but I did summarize how I learned to sell Avon online. Listen for yourself my Avon tips and tricks. Before I give you a few of my top tips for selling Avon online, I would like to give you a brief overview of my Avon story. You can also read my post, Is Selling Avon Online Worth It? I started selling Avon in 2008 when someone hung a recruiting flyer on my door. Truthfully, I think I was my best customer. I had a teenage daughter that loved makeup so I stocked up for her and myself. I also started selling to our friends, relatives, and neighbors. These people are called your warm market because you know and feel comfortable talking to them. Before long, I knew I had to learn how to find Avon customers another way. That's when I took the next step in my career by coming up with new Avon marketing ideas. I started taking brochures to different neighborhoods. I would either ring their doorbell and introduce myself or just hang a brochure on their door. I always had Avon brochures in my purse and I gave them out to everyone I would meet during my daily errands. Here are a few places I would hand out brochures. I would always ask if I could leave some brochures every campaign. Just think of businesses where people come and go often. My number 1 tip for boosting your traditional sales is to put a sign in your yard. I put an Avon sign and a realtor's flyer box in my front yard. I filled the box with current brochures. It was amazing! I got so many people coming by to pick up a brochure. My customer base really grew! I even got new recruits from this. I believe I had this sign up for several years before someone in my neighborhood complained to the city. I was then required to take it down. I also have very good success with the Avon decals I have on my vehicle. People will even stop me at the grocery store for an Avon catalog. I love when people come to me, instead of me hunting them down. Here's goes, Avon representatives, my attempt at giving my Avon selling secrets ideas. However, since I do so much to market Avon online it's hard for me to tell which of my efforts actually get me the customers. I started back in 2010 with consistent hard work. Many hours of trying different things to attract customers. Today there are many reps that have really excelled in selling online with their own creative ideas and talents. Please don't expect to instantly start getting sales, as it takes a long time,work and dedication. My BEST tip for marketing Avon on social media is to start with one platform. Research on how to successfully use it. Youtube is an amazing resource for educating yourself on almost anything. Do a Google search to find the top ways to promote products on each social media account. Research how to use hashtags properly for each platform. Every social account has different hashtags. Once you have mastered one platform, add another to your marketing routine. I would suggest that we follow each other on our social media accounts. My links will be at the bottom of this post. Post your links in the comments so we can all build our followers. Set up your profile on youravon.com by going to My Office - Web Office - Online Store - Personalization Tool. Make sure to include your phone number and/or address on the Personal Web Page, Find a Rep Tool Online, and Find a Rep Tool Phone. Also fill out your Interests and Why I love selling Avon section. When customers are looking for a rep, a list of representatives will come up. By having your city, phone number, Interests and Why I love Selling Avon filled out, customers will more likely call you than another. My suggestion is to put a personal picture of yourself on your eStore. Go to My Office - Web Office - Online Store - Edit your Online Store. Write a personal message telling people about you and why they should shop from you. By doing both of these your online customers will feel like they know you personally. This is also the place to add your social account links. This is very important as you want people to follow you on social media. I also chose to display my phone number and city and state. Get on the first page of Google when people are looking for a local Avon Rep. Do an online search for Avon rep Loveland, Colorado. You should see my Google Business Page listing with my picture on the right side of the screen. Start your Avon Google Business page to get found online by people in your area. Put labels on your brochures with your eStore web address and the current Avon coupon. The latest code is WELCOME10 where customers get 10% off any size online order. This code is only good for one time use. 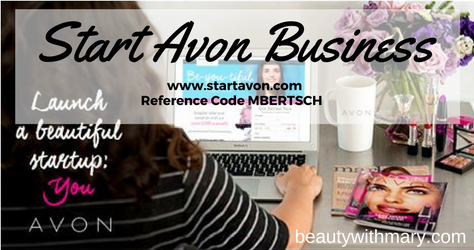 Don't forget to include your Avon eStore address on your business cards. Hand these out to everyone you see and hang them on business bulletin boards. Share the Avon Social posts and videos on Facebook, Pinterest, Twitter, and Google Plus. Don't post them all at once. Try to post them several times a day. You can also go to your Avon eStore and share the individual products by clicking on the icons below each image. Be creative with your descriptions and show excitement. People are looking for answers to their problems. Evoke curiousity and try to solve their problems. Many of you have been asking about the eBook that I used back in 2010. The name of it is, Internet Marketing For Avon Representatives. It can be purchased on Amazon for $.99 for a Kindle. The great tip from this book was the special code that you could add to your blog. However, that code is no longer needed since all product urls now contain your specific estore information. Some information in this book is outdated but it still has some very good information in it. The author is a top Avon online seller today. 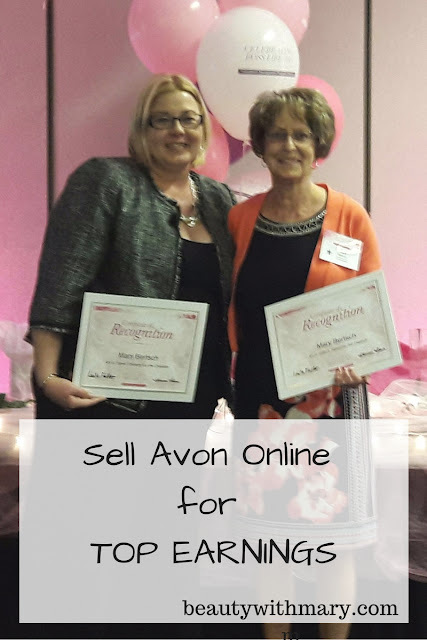 Her and her husband helped me get started with lots of tips on how to market Avon online. Starting an Avon blog is a great Avon selling secret. However, I must warn you that it takes a lot of hard consistent work. I have done tons of online research on this topic to get where I am. As a matter of fact, I still research because the Google algorithms change quite often. I have two Avon blogs, Beauty with Mary and Think Beauty Today. The first one is hosted by Blogger. It's easy and free. The second one is from Wordpress.com. I don't advise you to use the free wordpress.com version. The best version is wordpress.org where you pay for a hosting provider and manage your plugins and software updates. You can do an online search on how to set up a blog on either of these platforms. The ebook mentioned in #7 also gives help on setting up an Avon Blogger blog. WpBegginer has a great post on How to Start a WordPress Blog the Right Way in 7 easy steps. It is time-consuming and does cost money but it is worth it. Here is a tip that you may already know about. Avon President's Council Member and Silver Ambassador, Dianne Hernandez, was asked by Avon to give a webinar on her suggestions for selling Avon online. She earned this top sales level by selling only online. If you haven't listened to this webinar, it is awesome. She truly is an amazing online marketer. Diane also has a closed Facebook Group, Online Beauty Bosses, only for Avon reps. She gives some great tips and support for everyone. Ask to join this great support group. The public Facebook Group, Online Beauty Bosses has marketing tips that are public to anyone on Facebook. Like and follow this page to get notifications on your Facebook personal page. Here's my last tip for you. YouTube is very popular. If you are a good speaker, I would highly suggest you make youtube videos. You can do makeup tutorials, product reviews or your personal review on being an Avon Representative. Always leave you eStore link in the description. If you aren't already an Avon representative, I would love to have you join my team. I will then give you additional marketing tips to get your online sales a boost. 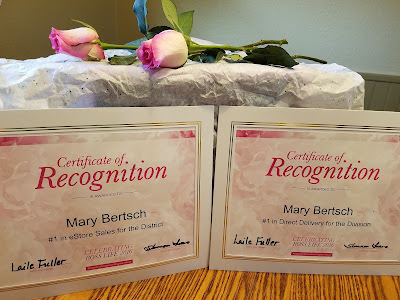 I would love to have you join me at the next recognition celebration and celebrate your success. I hope you find these Avon tips for selling online helpful as you work to build up your business. Comment below if you learned something new in my post. Also list your social media links so that we can follow each other.